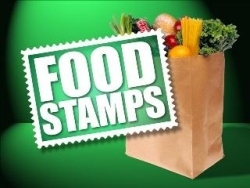 As of January 1st, 2016, the Supplemental Nutrition Assistance Program (SNAP) in Illinois, also known as food stamps, will be open to households with gross income up to 165 percent of the federal poverty level—$3335/month for a family of 4. The previous cap was 130 percent—$2627 for a family of 4. 40,000 more households—80,000 people—qualify for benefits under the recent change. The new income guidelines are designed to make benefits available to hard-working families that now must choose between buying groceries and paying for other living expenses. The average benefit for families that are helped would be about $125 a month. Heartland Alliance and the Sargent Shriver National Center on Poverty Law led efforts to pass the law that expands access to these benefits. “This change could make a big difference for working families currently struggling to make ends meet and put food on the table,” says Kimberly Drew, Senior Project Manager of Economic Security Policy at Heartland Alliance. “This is a really positive step forward in our fight to end hunger in Illinois.” “SNAP benefits are 100 percent federally funded,” noted Dan Lesser, Director of Economic Justice at the Shriver Center, “and increasing the income cap will bring an estimated $60 million in federal funding to Illinois residents, boosting the state and local economies.” Individuals who believe they may be eligible for SNAP benefits are encouraged to apply online at abe.illinois.gov, by calling 1-800-843-6154, or at a DHS Family Community Resource Center.